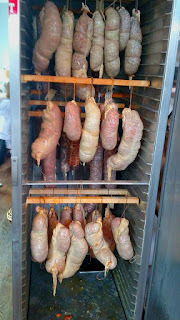 Earlier this month I spent two wonderful days at Black Valley Farm at a charcuterie class in Everett, PA. 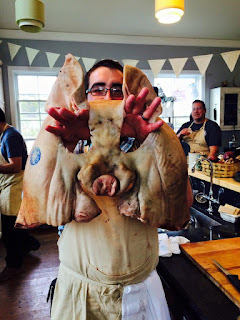 The event was hosted by Alana and Brian Schoffstall, the ranchers raising organic Kunekune pigs, while the charcuterie/butchering class was taught by Evan Brady. In short, it was an amazing time. 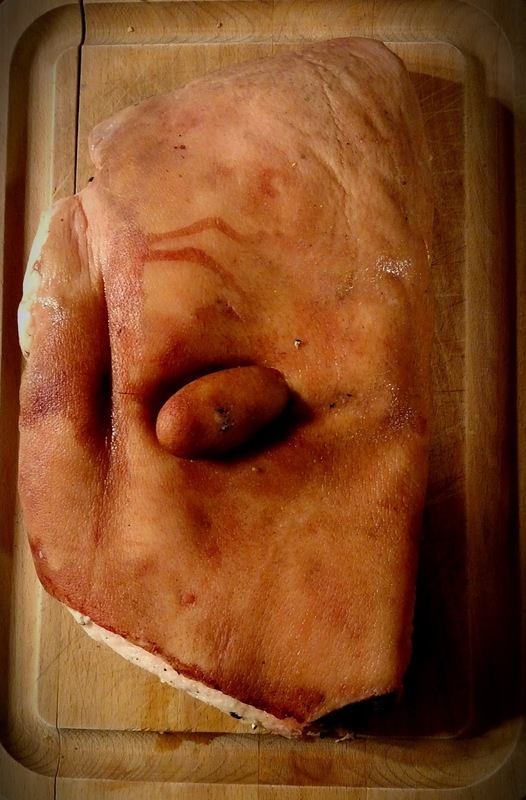 While it was cool to work on a new species of pig, I think I got the most value on this class from the discussions on curing meat and creating salami. The instructor, Evan, has worked with a number of American salumeria's, and writes HACCP plans for them as a consultant, along with running the specialty online shop, Craft Butcher's Pantry. I've taken pig butchering classes before, but Evan's workshop on cutting specifically for charcuterie was very informative. The Kunekune looks like a fat little barrel on stubby legs. 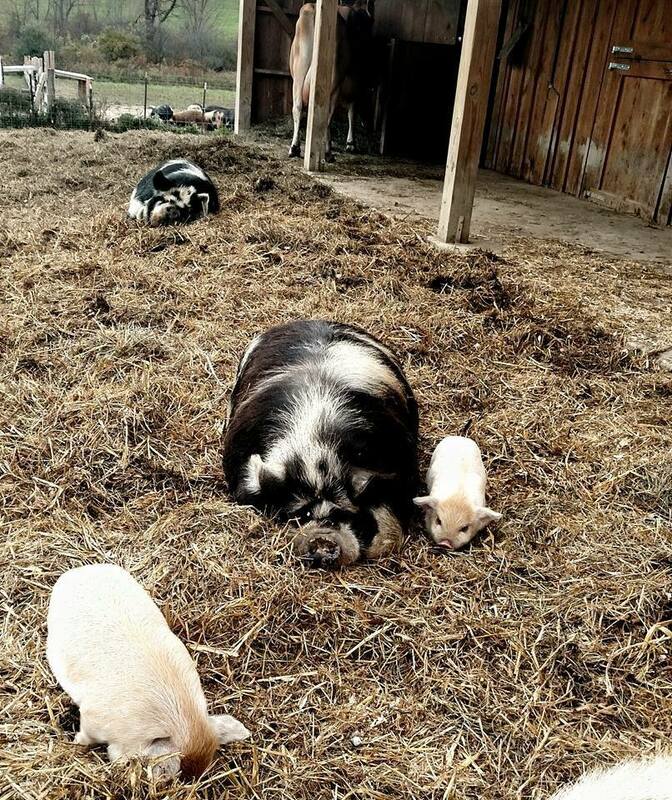 They're very gentle pigs with a wonderful demeanor. 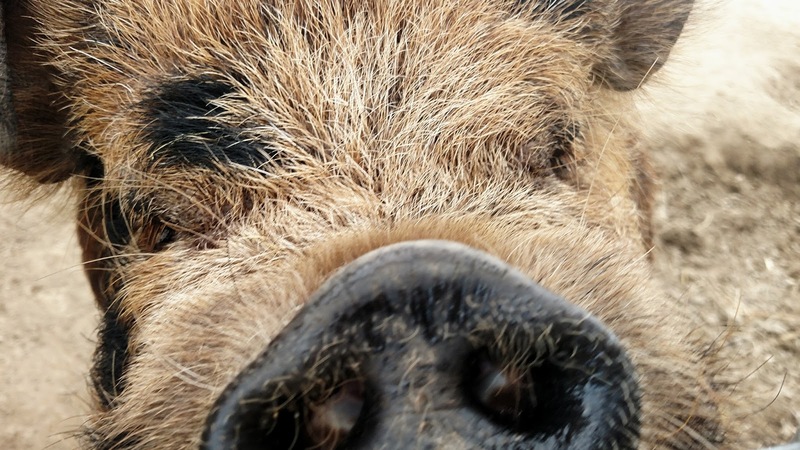 Alana mentioned she chose the Kunekune because of their nature. 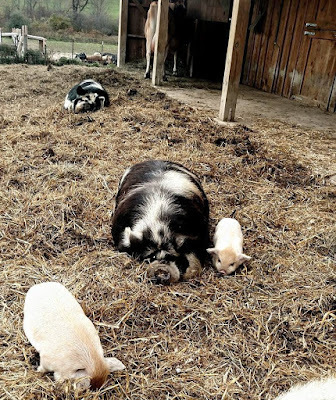 Her father has an apple orchard, which she knew would be perfect for the pigs to romp and eat, but they don't destructively root and turn up soil like other breeds. They also have peculiar little waddles on their jowls, so I had to take a jowl home to make full-waddle guanciale. A big kick for me was seeing Evan's excitement to work on Alana and Brian's Kunekune pigs. In the weeks leading up to the class, the pigs gobbled up the last of the autumn's windfall apples and acorns. 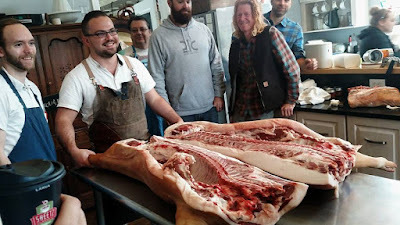 As someone who works professionally in the industry, to see Evan's surprise and delight at the rare quality of these pigs gave the class a really special vibe. Along with learning new Italian and German recipes, Evan taught me a lot about working with European hemp twine and the importance of tying to create a product that will cure evenly. The twine is much stronger than cotton string, but it's fibers can cut into your skin if you're not careful. Evan also had a great discussion on bacterial cultures, plus an interesting talk on new peer-reviewed studies that show how tocopherols (vitamin E) and rosemary extract added to a forcemeat can extend the shelf life by an entire week. Evan's blending of time-tested tradition and modern research in his instruction really helped to expand my culinary skillset. My head feels like it's bubbling away with enough ideas and projects to get me into 2017.